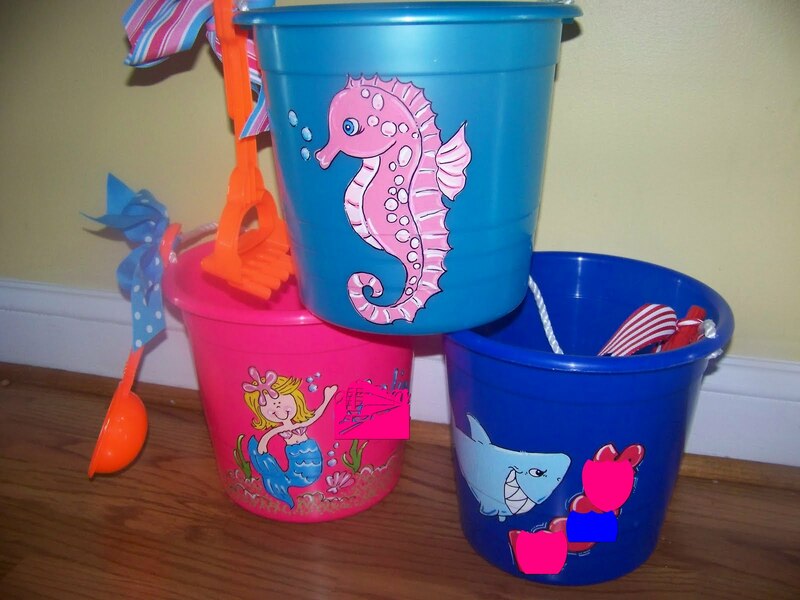 As you read this, the Semi-Slacker children are at the beach enjoying the cutest beach buckets ever! I know everyone on St. George Island will be conventing our buckets. The buckets are personalized, but I had to block that part out, so they are even cuter in real life! The Crayon Princess made them & she has got to be one of the most talented people I've ever met (online). She has done several things for Laura & has featured some of the cutest things on her blog. These buckets are not the cheapy dollar store variety, they are nice & large with rope handles! She even included a beach toy with each of them, which my children thought was so cool! The Crayon Princess would love to do a bucket for one of my awesome readers as well! She also does lots of other stuff & personalized party favors too! *Tell me your biggest plan for the summer. *Follow The Crayon Princess & check out all her cute stuff. *Enter all 5 giveaways this week. Good luck! Winner will be announced Monday, June 21st. My biggest summer plan is to move into our new house! Maybe. Hope the Semi-Slackers are having a blast at the beach! 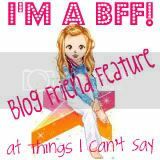 I have no idea why but your blog isn't coming up in my blogroll :O( Anyhoo I am going to check your blog every day so I dont miss you posts! 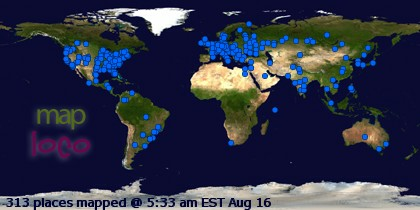 Sorry I havn't been commenting in all this time! My biggest plan is to go on vacation -- somewhere, at some point. You know how farming is... plans just don't happen until the last minute! We live at the beach and could put those beautiful buckets to good use. They are just the cutest!! My biggest summer plan is my duathlon in two weeks! I don't need a bucket for that, but my daughters could use a bucket for our beach trip in July! I'm a follower of the crayon princess! We've already been to the beach but I'm hoping we can get one more trip in. so cute. I have a 4 yr old in the family who would love that. Love those buckets...my grandkids would really like them too! My biggest plan for the summer is to hopefully have a real vacation this year. I haven't been on one in a couple of years with DH (he's gone hunting and I've gone off with the girlfriends). We're thinking of a road trip through a few states! We're planning on visiting the Wizarding World Attraction. Too cute! My sweet girl loves to play with anywhere a bucket can be included. I teach school and our district just got out Friday, three weeks later than normal, so Monday starts my summer vacation and I plan to spend some good times with my baby girl doing whatever we feel like doing, staying in the cool inside or out at the pool getting some sunshine or in Alabama visitng family. Just whatever floats our boat AND bucket!! Very cute!! our biggest plans have changed in the last week -- we were supposed to be going to the Gulf coast to have a beach vacation, but we recently cancelled that plan and will instead be going to Branson, MO. NOT the beach, but it'll still be fun family time! My biggest plan for the summer is to paint the house - sounds fun right?!?! We took 2 vacations last year so this year we decided the house really needs new paint. Hope to get to the lake for a day or two.